We are writing this from Maryland where we are visiting with our family for a few weeks, but we can always be reached via e-mail or the website. Our son and his wife are taking care of things back in Texas, and we are thankful that technology allows us to continue to run the ministry no matter where we are actually located, so donations can be passed on as usual to our African partners. At this time of the year, many here in the USA are receiving tax refunds or making plans for summer vacations. We want to encourage you to remember Proverbs 28:27 “Whoever gives to the poor will lack nothing, but those who close their eyes to poverty will be cursed.” (NLT) and Proverbs 19:17 “Giving help to the poor is like loaning money to the Lord. He will pay you back for your kindness.” (ERV). We have known our three main ministry partners in Africa for over 10 years now and can state with assurance that they are all very trustworthy regarding their use of finances – recognizing that we are actually all just stewards of God’s money and resources and answerable to Him for how we use them. We are thankful to be able to cover the overheads of this ministry ourselves, and as a result we send 100% of all donations received to our African partners. This month we just want to take a little time to focus on the present pressing needs of our faithful coworkers there in Africa and encourage you to pray about how YOU can help meet those needs. Thank you and Happy Easter! Gerald and Shirley. 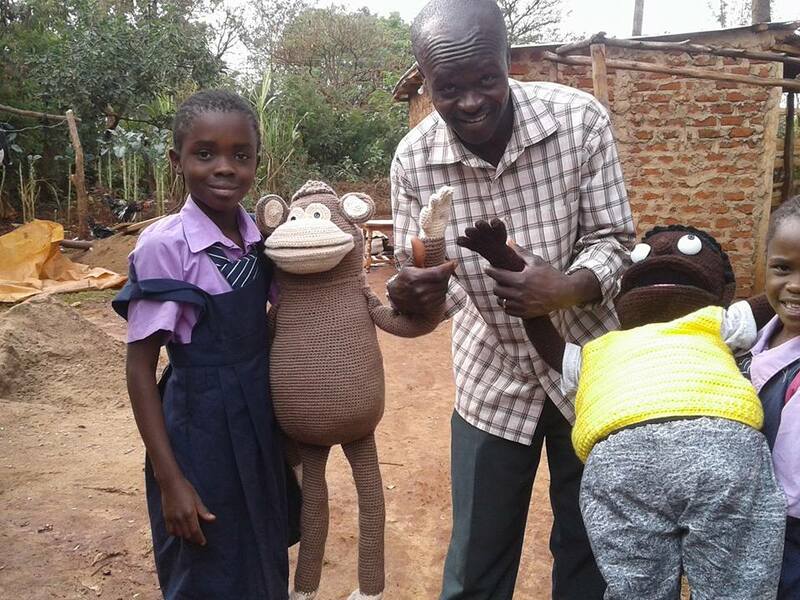 Mike in Kenya is seen here in this photo with the two new hand-knitted puppets he received recently, made by one of our newest supporters. He is excited to be able to add these to his resources for children’s ministry. He is busy preparing with a group of five to travel to Northern Kenya once more in April. 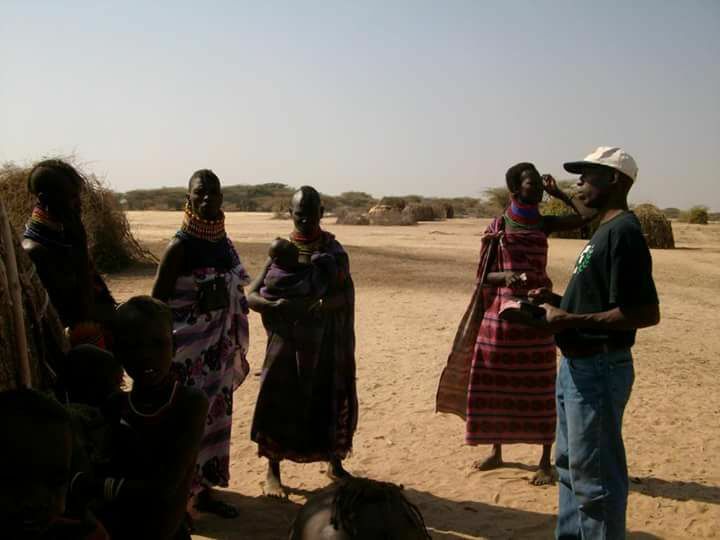 They will be ministering to the Turkana people who live a nomadic life in the desert there (as seen in this 2nd picture) – surely one of the poorest peoples of the world. Having been several times before, he wants to not only share about the need for children’s ministry, but also to take basic foodstuffs to distribute to families on each of the four days they plan to minister there. As he continues to evangelize and start bible study groups in schools both locally and farther afield, he has constant need of more bibles and study guides to distribute (which he can get more economically there in Kenya). His wife Irene has a little shop next to their home to help provide for the family, but they very much depend on the Lord (and what we can send monthly) for their daily needs. Pastor Honoré in Central African Republic has returned from handling the funerals of his wife’s brother and family who were brutally killed last month by Seleka rebels. 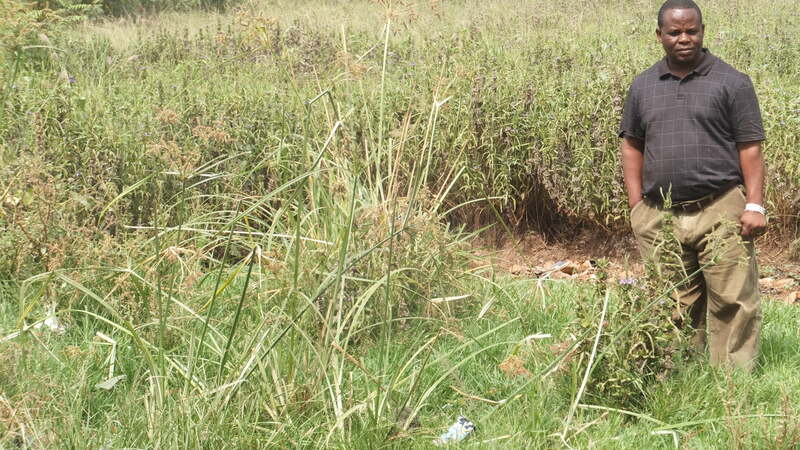 The situation in the capital, Bangui, where Honoré lives is slightly more peaceable, though still unstable. He reports that 75% of the country is ruled by various armed groups and killings continue on a weekly, if not daily, basis. Prices have soared and life is very hard, especially for the million or more displaced people and the 2.5 million requiring humanitarian assistance (according to USAID.gov). However Pastor Honoré writes that he is planning special Easter services at the church. He continues to pray for the funds to construct the walls and roof as they are presently just using a type of tent over the foundation. 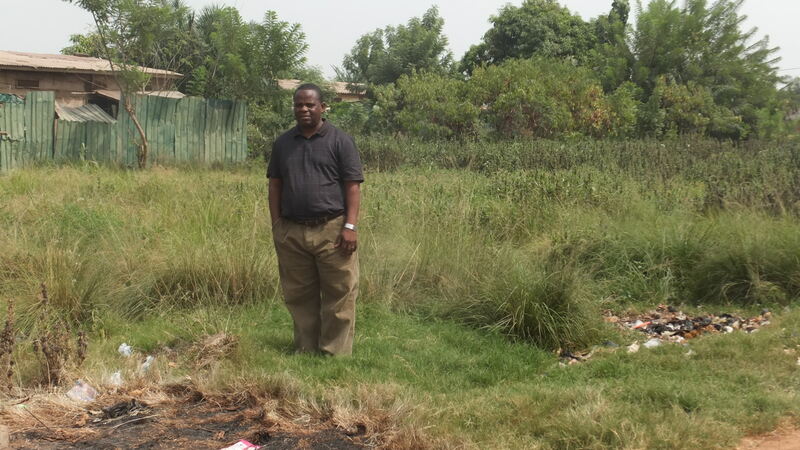 He is also praying to build a home for his family next to the church, to avoid having to continue to rent a house, and be better able to oversee the property and minister to the local people there. Pastor Sika in Togo says that prices continue to rise there too due to the instability of the situation as the government leaders argue about a true democratic government. Unfortunately the rains are slow in coming this year, which has delayed planting at the Joseph Project Orphanage. This means that more food has to be bought to feed the staff and orphans – and sadly, we have been unable to send sufficient funds to help these past couple of months. With a regular need of over $1,000 per month for food, medicines (particularly for the HIV positive orphans), staff salaries and other essentials, we have fallen short by several hundred dollars each month so far this year. We know that God somehow makes up the difference but we pray that the additional necessary funds will come in to help relieve the stress! Also, there is the need to build the walls of the new church inside the compound, to provide more usable space. Pastor Sika also has shared the need to construct church buildings on recently purchased property in both Agbanakin and Fiokondji – the two villages that have been very resistant to the Gospel in the past, but where he has held several evangelistic campaigns and shown the Jesus movie in recent months. The photos above show him on the two properties, first in Agbanakin, and then in Fiokondji. It is essential to establish a church in each village for the small groups of new believers to meet and receive discipleship teaching so that a firm Christian presence can be recognized in these very pagan areas. We pray the Lord will bring the right connections and touch the hearts of people who can help with this important project.